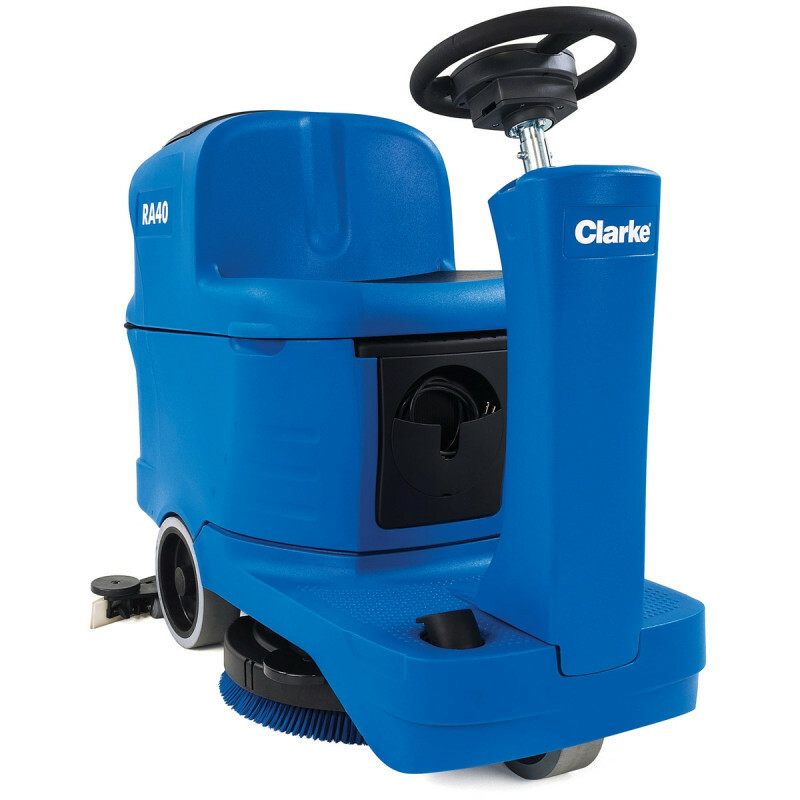 This compact, highly maneuverable 20 inch Clarke RA40 automatic floor scrubber is designed to elevate the cleanliness, health and safety of your facility to the next level. Every cutting edge feature from the ultra sharp turning radius to the on-board chemical mixing system has been engineered to the high performance and reliability standards you have come to expect from Clarke over the past 100 years! This rider scrubber comes equipped with SmartFlow™ technology that automatically reduces the solution flow rate when the operator slows down. Automatically reducing the flow rate on turns, edge cleaning or maneuvering around obstacles helps to avoid water left behind and increases the productivity by up to 50% per tank. This means greatly reduced slip and fall risk and your cost to clean a facility. Reducing the amount of cleaning solution used also prevents wasting water and chemical, increasing sustainability. The small profile design of the RA40 provides full sight line visibility, a short turning radius and the ability to clean in tight spaces. It also contributes to a low center of gravity that, when combined with Safe-T-Steering, prevents tipping incidents. All these features contribute to safer operation for both operators and other building occupants. 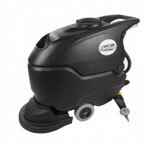 For more great cleaning machines from Clarke, please check out their full lines of walk behind and rider floor scrubbers that we have to offer. Extremely user friendly and easy to learn dashboard with One-Touch button and intuitive display integrated into the steering wheel. Exclusive multifunction digital display allows for maximum customization of machine settings. The Chemical Mixing System automatically mixes adjustable levels of concentrated chemicals stored in an on-board reservoir with clean water stored in the solution tank, allowing you to stop wasting unused chemicals, get more consistently clean floors and give the RA40 an extra boost of cleaning power for heavily soiled areas. The built-in squeegee hanging system on tank allows for safe transportation through doorways and tight areas, while permitting tank drying. Built in large, 18.5 gallon tank for high cleaning productivity. Two Levels of scrubbing pressure for added cleaning power in heavily soiled areas. A wide, ergonomic operator seat and steering wheel provide a more comfortable driving experience, while the low step-on design makes for easy onboarding and offboarding.